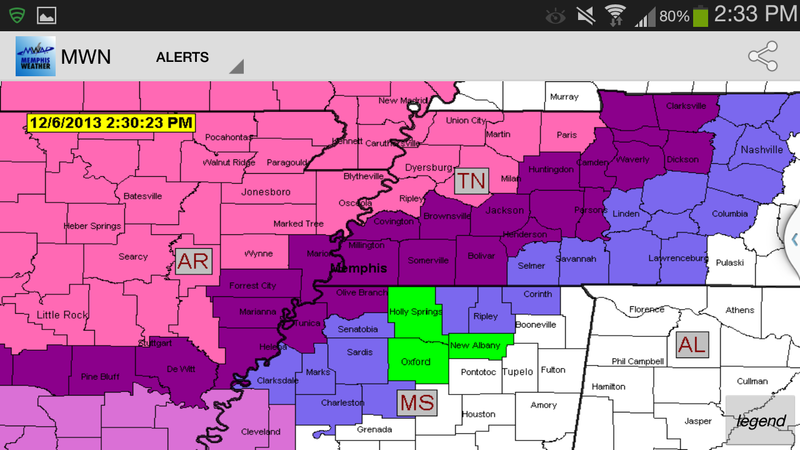 Memphis and Mid-South weather - where and when you need it! 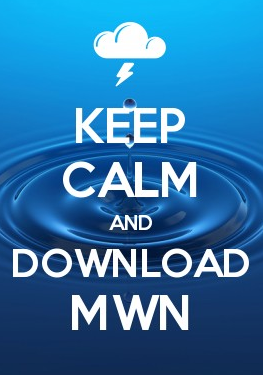 MWN's mobile applications deliver on our mission to be wherever you are. Built for iPhone/iPad and Android smartphones and tablets, they put MWN in the palm of your hand, whether planning your day or in the middle of the storm. 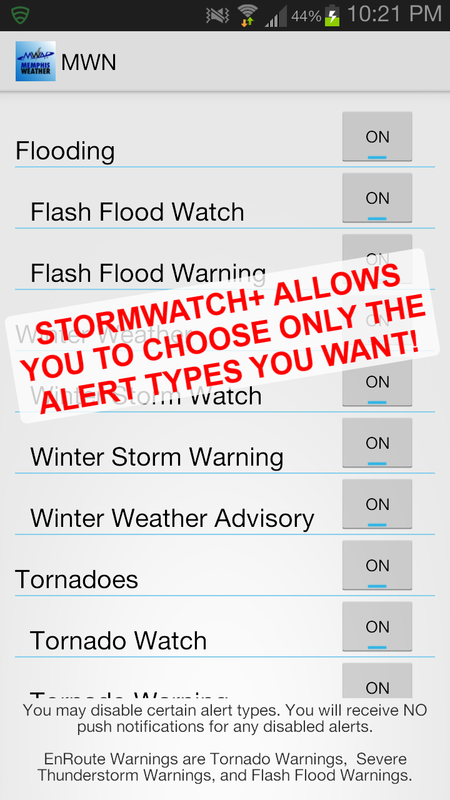 The best part of the MWN app is the ability to receive severe weather notifications on your device whenever YOU (not your county) are in the path of the storm. 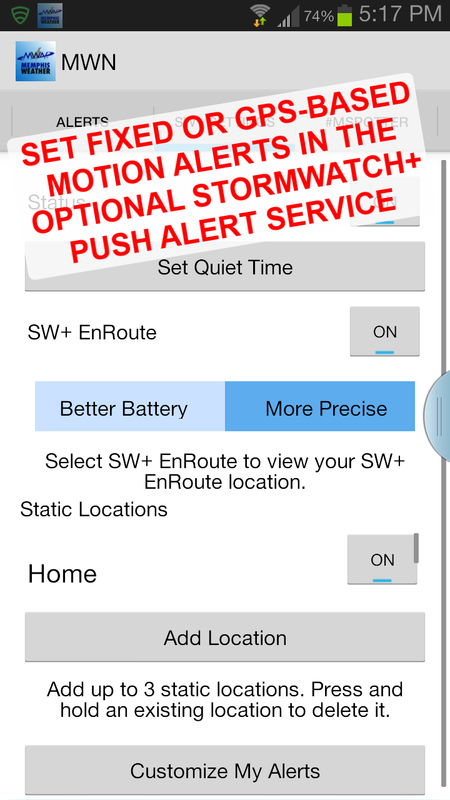 MWN StormWatch+ alerts combine the latest in positioning technology with NWS warning polygons to bring pinpoint precision to the warning process. 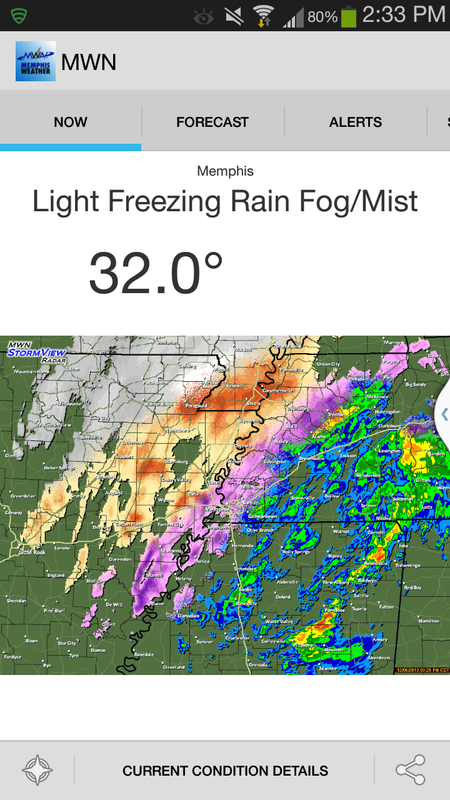 No one else in the Mid-South offers this technology right in the palm of your hand! 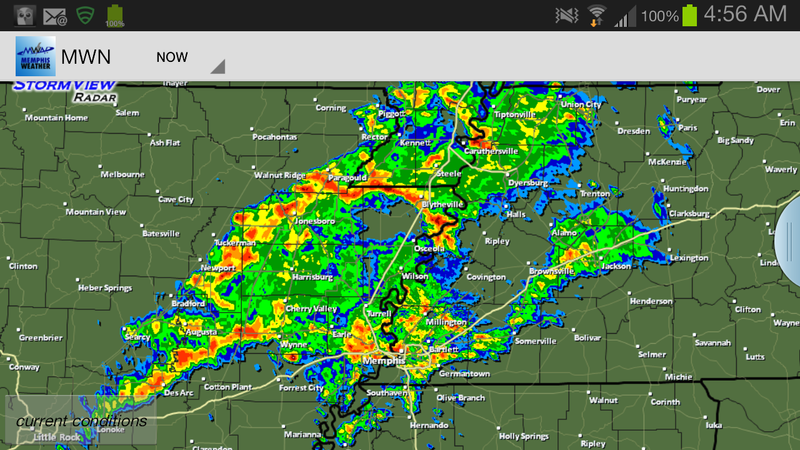 Check out MemphisWeather.net in the App Store and Google Play via the links below.